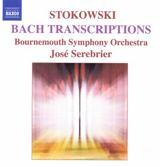 For a track list and details please see here. 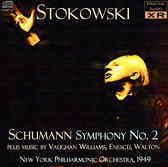 This concert has also been released as part of The Stokowski Concert Collection. 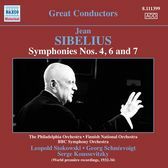 For details, please see here. 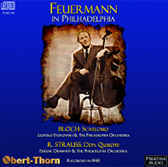 All recordings in stereo - for the first time issued on a commercial CD! 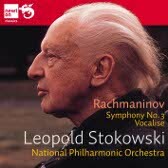 Produced in association with THE LEOPOLD STOKOWSKI SOCIETY. 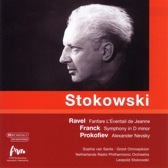 Please see The Stokowski Concert Collection for details. 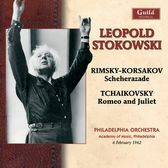 Produced in association with THE LEOPOLD STOKOWSKI SOCIETY. 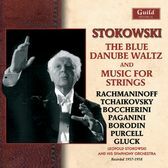 More Stokowski CDs from Guild in preparation! 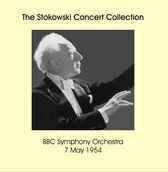 The 1974 concert had previously been issued about 10 years ago on the BBC Radio Classics label. 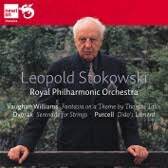 This new reissue has been completely re-mastered from the original BBC tapes by Paschal Byrne (engineer for the Stokowski Series on Cala Records) and now sounds infinitely superior to the earlier release. 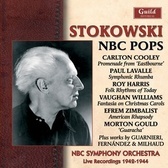 This promises to be an historic and exciting restoration to the Stokowski CD Discography! (27/09/06) Now available as download! Completely announced Command Performance program. 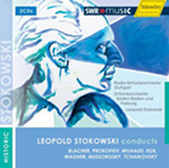 Please see The Stokowski Concert Collection for details and a sound sample. 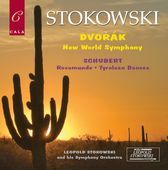 Alternatively to the conventional CD, the entire program is available to PayPal members as high-quality MP3 file (30 minutes, ~42 MB) for only $7.99. To download, please follow the instructions here. 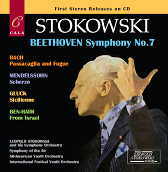 Private CD - for details and ordering information please see here. Please note, however, that this is only the "Aria". The "Dansa" from the same work, which has been recorded during the same session, is not included. 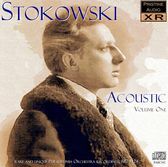 Music & Arts has released this 4-CD set with rare 78 rpm recordings from 1927-1940 which have never been released on CD before. 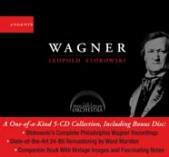 For a complete list of its contents please see here. 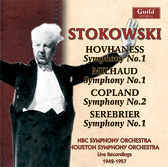 Copland: Symphony No. 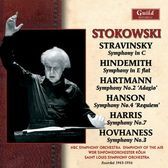 2 - "Short Symphony"
Hanson: Symphony No.4 - "Requiem"
Available on CD and as MP3 download from Pristine Audio. 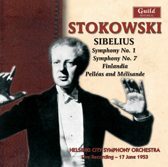 Two half-hour live radio broadcasts. 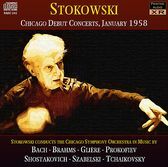 Please see The Stokowski Concert Collection for details. 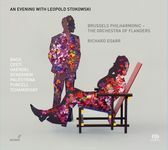 For a complete track list and full details, please see here. 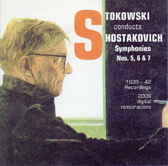 Hovhaness: Concerto for Orchestra - "Sivas"
Two half-hour radio broadcasts. 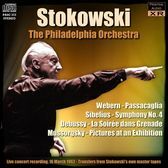 Please see The Stokowski Concert Collection for details. Fully announced original radio broadcast. Very good sound. 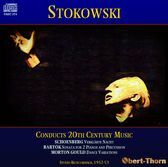 Please see The Stokowski Concert Collection for details. 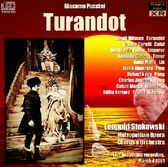 Fully announced original radio broadcast. 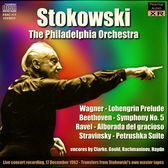 Please see The Stokowski Concert Collection for details. 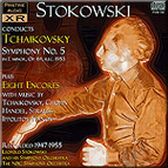 A very detailed and well-investigated book about Stokowski, the organist, enriched with many pictures and interesting documents. 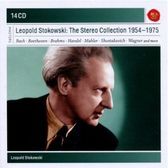 The extensive appendix lists among other things Stokowski's organ repertoire and organ recitals performed by Stokowski (which indicate already a certain affinity to the orchestra - a pity that these were not recorded! 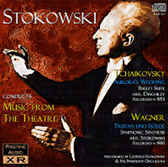 ), as well as the complete scores of four choral works by Stokowski. 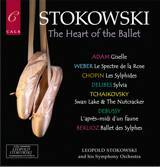 An invaluable source of information, not only for organ lovers! 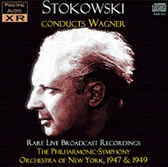 Pendragon is prepared to offer members of Stokowski Society a discount of 20% off the list price of the book, $46. Fully announced original radio broadcast. 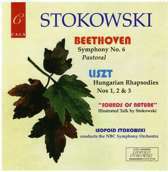 Documentation and song texts included in booklet. Excellent sound. 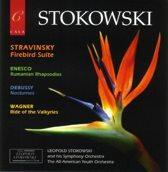 Please see The Stokowski Concert Collection for details. 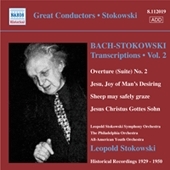 Lully: Nocturne from "Le triomphe de l'amour"
Gabrieli: "In ecclesiis benedicite Domino"
New transfers from original Phase4 masters in 24 Bit/96 kHz technique. 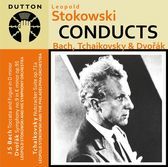 Released in celebration of the 25th anniversary of THE LEOPOLD STOKOWSKI SOCIETY. 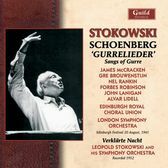 Rae Woodland / Janet Baker / BBC Chorus / BBC Choral Society / Goldsmiths Choral Union / Harrow Choral Society / London Symphony Orchestra, rec. live 30/07/63. 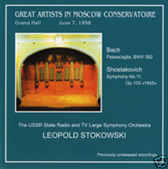 Only the Toccata from this recording has been released earlier on LP. Details and ordering information can be found here. 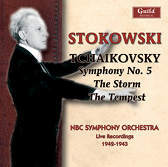 Fully announced original radio broadcast. Documentation included in booklet. 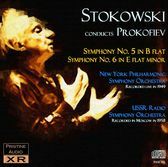 Please see The Stokowski Concert Collection for details. 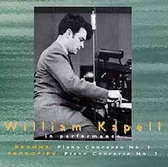 For a complete track list please see here. 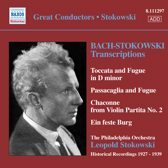 New transfers from original Phase4 masters in 24 Bit/96 kHz technique. 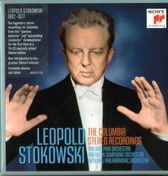 Produced in association with THE LEOPOLD STOKOWSKI SOCIETY.